Mercedes-Benz signed a deal with utility company ENGIE and electric vehicle charging station manufacturer EVBox for the Benelux (Belgium, Netherlands, Luxembourg) market. As part of this new partnership, all customers and dealers of Mercedes-Benz will be supported in the transition to electric mobility. 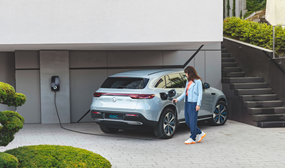 The partnership applies to all plug-in hybrid and full electric models of Mercedes-Benz cars, including private and commercial vehicles, the Mercedes-EQ, and the Smart. 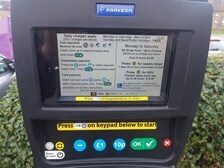 Shropshire Council is opening up the benefits of contactless payments to residents and visitors using parking terminals in 10 towns across the local authority area. The council has installed 115 new StradaPAL terminals from Flowbird as part of a drive to enhance operational effectiveness while improving the customer experience. The terminals offer contactless, Chip and PIN and coin payment options along with a capability to print vouchers for local promotions, replacing all coin-only machines coming to the end of their working lives. After the successful pilot last year in Delft, Rotterdam is now also using its public chargers to improve AED accessibility. 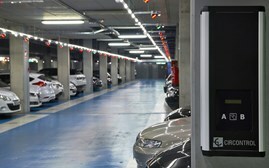 Since this week five more AED-equipped electric vehicle charging stations have been installed in the Netherlands. 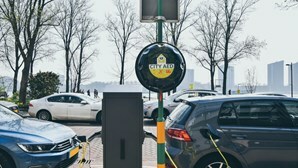 Following the successful pilot last year in Delft, the city of Rotterdam has now also upgraded five of its public charging stations to include an AED (Automated External Defibrillator). Yesterday the stations were revealed in the presence of Rotterdam officials, EVBox, City AED, Dutch Heart Foundation and local press. One of the World’s Foremost Leaders in Innovative Urban Parking Systems Has Officially Unveiled Its New Name. - Following the sale of the UK urban parking business to Off-Street Parking UK Limited (OSP), OSP president Laurent Gilles unveiled the company’s new trading name, Orbility, in Paris recently. Operating from Portsmouth, Hampshire, Orbility – a fusion of ‘orbit’ to reinforce the global presence and ‘mobility’ which describes its operating sector – has established its head office at Mitchell Way, Portsmouth, where 24 employees are based. Partnership between SWARCO eVolt and Engenie will remove up to 4.8 tonnes of harmful NOx from UK roads annually - SWARCO eVolt, Circontrol’s partner in the UK, has unveiled its partnership with Engenie, an electric vehicle charging network specializing in rapid chargers, that will result in the installation of 400 rapid chargers for Marston’s Inns and Taverns. SWARCO eVolt has rapidly emerged as one of the UK’s leading innovators in commercial electric vehicle charging solutions. 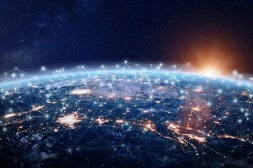 This solution allows indicating EV charging bays and monitoring of its operation and usage, among other features - The spreading of electric mobility will require the installation of EV charging stations in different locations, and car parks will be very important in this matter. Circontrol gathers together its experience manufacturing EV chargers and designing solutions for efficient parking to develop a comprehensive solution for the integration of electric vehicle charging stations in car parks.